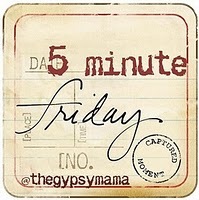 It’s Five Minute Friday again! People all over the world blogging on the same topic on the same day for just five minutes and linking up at Lisa Jo’s place. Today’s topic: Grasp. I have control issues. I want my bath towels folded a certain way. I like my sandwiches cut on an angle. I prefer the toilet paper roll to go over and not under. Come on, don’t act like it doesn’t matter to you. Okay, maybe it really doesn’t matter. I like to control these things because, at least in my mind, they are controllable. So much of life, however, is completely beyond my ability to manipulate. I grasp for control and it continually slips through my fingers. I can not make the people I love make good choices. I can not give that mama back her baby. I can not prevent my children from ever suffering heartache. Yet, I spend my days grasping for control of those things. And, at the end of the day, I am faced with the reality that I am not the one who holds the whole world in my hands. I have desperately clawed and grasped to hang onto relationships that God, for His own reasons, was bringing to an end. Even with God, I sometimes fight for control. Can I just tell you now that it is a losing battle? He always wins and He doesn’t desperately grasp for control. It is just His. I guess, at the end of the day, that is the silliness of it all. I am grasping for something that is God’s. He has complete control of my life and the lives of those I love. He holds it firmly in His grasp. I am like that little child trying to pry her daddy’s hand open to retrieve something I am not meant to have. Truth be told, it is better for Him to be running things than me and I do not have to understand everything. He has my life firmly in His grasp and I do believe I will leave it there. All for Him with hugs to you! I’m not much of a control freak (with the tp, that is), or details person…but I know people who are. I think God takes us through things sometimes to teach us how much we are NOT in control of. Great thoughts!